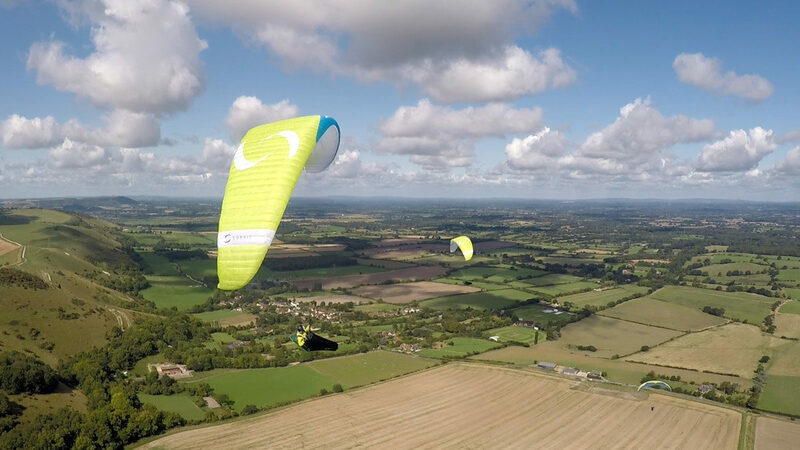 The Supair STEP is a ‘high B’ paraglider suitable for pilots with some experience wanting to ‘step up’ from their first wing or progression wing into the top part of the EN B category focused on XC flying. 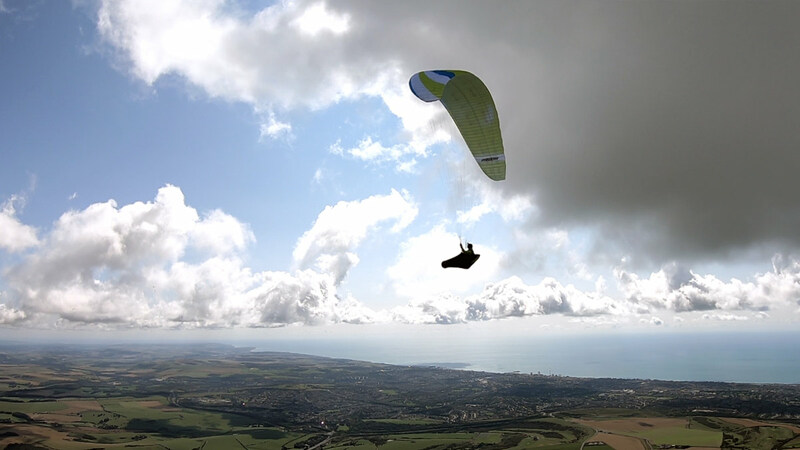 Carlo and Nancy flew the wing in a range of summertime conditions in the UK, with some good thermals and quite choppy conditions that gave the STEP a good testing. The wing is very clean and sleek-looking. Supair have optimised the internal structure of the STEP based on the R&D work done on their lightweight EN D racing wing, the WILD. The leading edge has a moderate shark nose profile, for improved low speeds (lower stall speed and more forgiving stall behaviour), and “smart mini-ribs” at the trailing edge, for a cleaner top surface (for improved performance and sharper handling). The STEP’s risers are slim without being fiddly, easy to handle. As and Bs are colour coded, red and blue. Speed system pulleys are made by Harken. Brummel hooks have been attached such that they can be removed, which should please Brummellophobes! The rear risers have an extra webbing loop to facilitate rear-riser pitch control, without any connection to the B risers. I found the brake toggles comfortable, easy to adapt to different holding positions, and had no problem getting my hands in and out of them. The lines are all unsheathed Aramid, except the lower brake line. The As and Bs have a short, colour-coded sheathing at base. 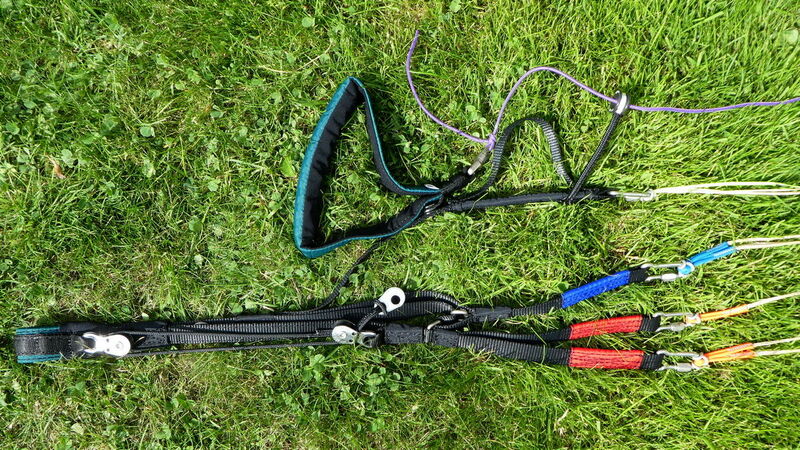 The lines are held in place on the rigging-style maillons by O-rings. 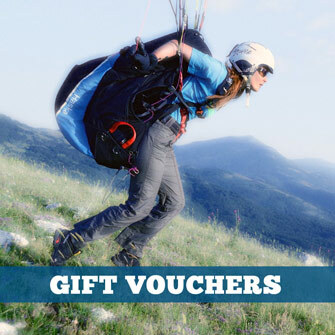 A nice touch is that the STEP glider is delivered with a Trek Backpack (rucksack) and Rolling Pack (concertina packing bag). Groundhandling is very easy, it’s got a nice progressive launch. It stops just short of overhead and then it nudges in. It requires a little pilot input to keep it steady, but it’s very easy on the launch. In a really light wind you needed to make sure you just hold onto the risers just a little bit longer to make sure it comes up. But in the stronger conditions it’s nice because it doesn’t whip up, it comes up steadily and it’s easy to control. 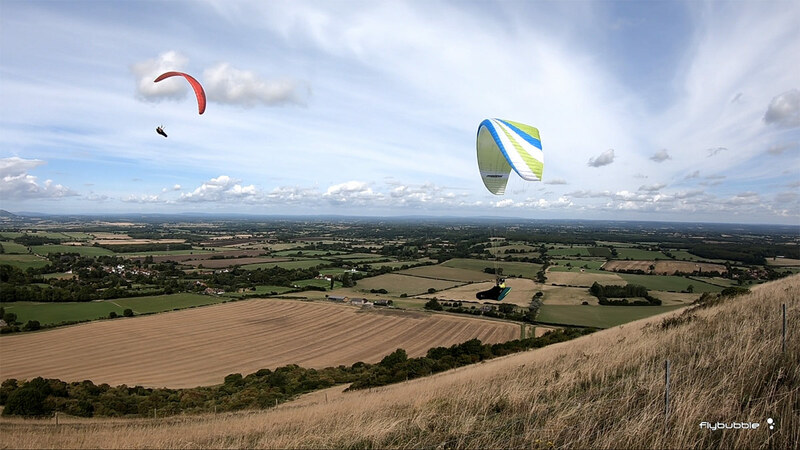 I found that it was climbing really well, and certainly when on glide it seemed very competitive. 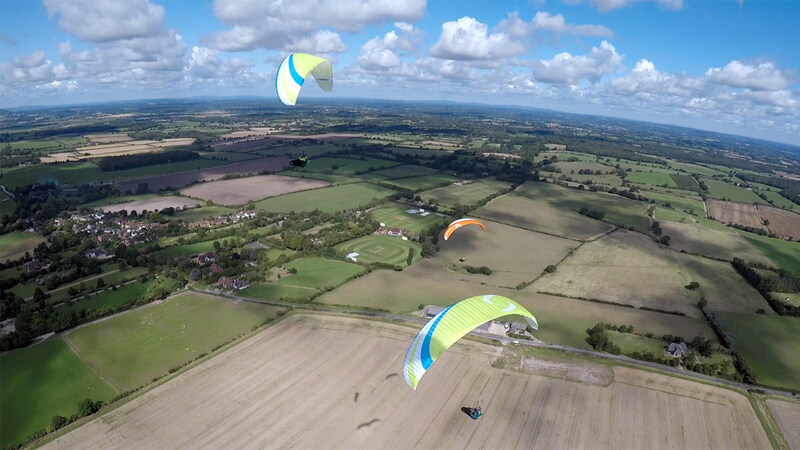 Heavily loaded on the Small I was still getting as high as everyone and certainly had good gliding speed. I didn’t feel like I was losing out on performance. Flying the Medium where I was a bit above the middle of the weight range, it felt fine too, it seemed to cope well with being in different parts of the weight range. I can see Supair are thinking about pilots who are flying in the Alps as well as in the flatlands, you’ve got the sink rate for flying in the flatlands, it’s got a good climb rate, but it’s got the comfort for when you’re flying in the Alps, it’s not a glider that leaps and jumps around. It feels reassuring, it doesn’t pitch about, it’s quite steady above your head. It’s quite mellow in its feeling, but at the same time it gives you good feedback. You don’t have to keep holding it back, you can let it go and I think it flies better like that, if you just let your hands up and let it fly. You can really turn it tightly, especially noticeable when we were flying with other gliders. I was able to turn safely inside other people because they seemed to be doing wider turns. With the STEP I felt like I could really turn right on the bit I wanted to and it behaved really nicely with deep inputs. It doesn’t roll excessively and it’s not overly restricted, there is a nice balance so you can turn quickly when you need to. You can pull the brake and it responds rather than some gliders which might hang back or you try and push them and they just go into a diving turn. The STEP turns really nicely and keeps it efficient as well. Supair STEP: Who’s it for? 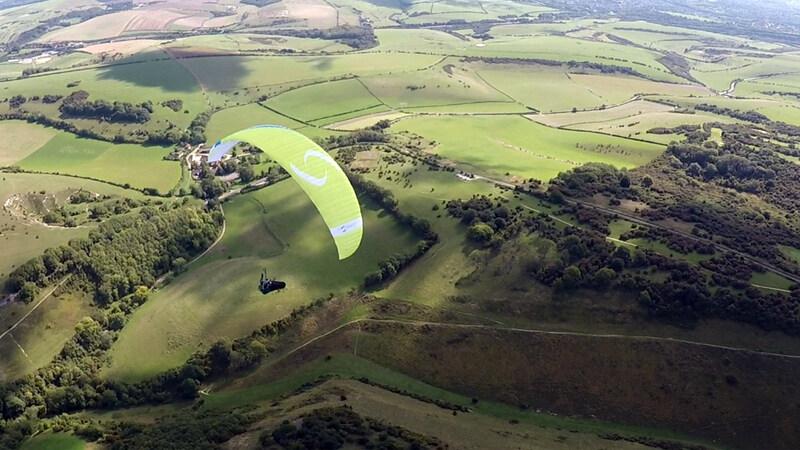 I really enjoyed flying it, it’s got a really nice feel about it. 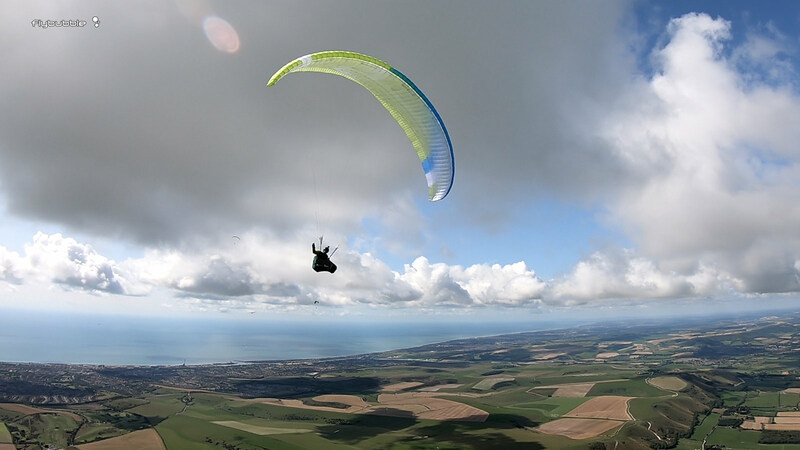 The STEP is ideal for somebody wanting a ‘high’ B wing, it’s got the performance, but it’s also got that reassurance about it, it’s a comfortable wing to fly. I’d put the STEP in the middle of the high B bracket in terms of pilot demands, feedback and how comfortable the glider is. The performance feels very good too. Only when somebody is looking for a very dynamic glider that gives lots of feedback and energy, then they might want to look at the higher classes of gliders. 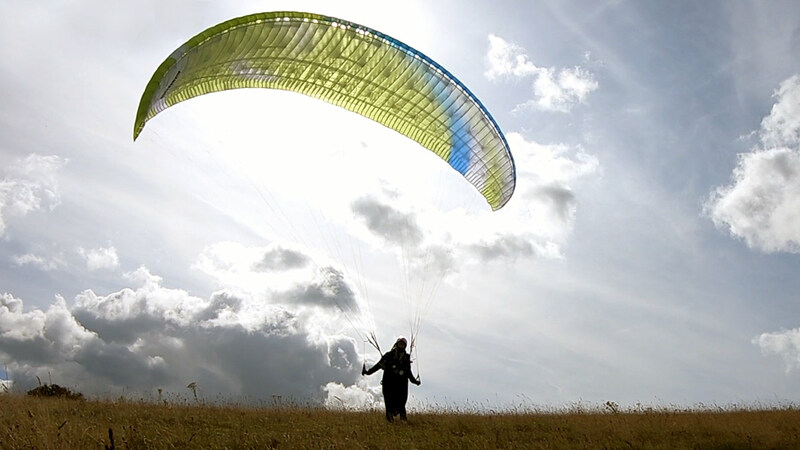 The STEP is a very capable glider for doing great cross country flights.